November 2017: Zimbabwean military ousts Robert Mugabe, installs his deputy Emmerson Mnangagwe as new leader. 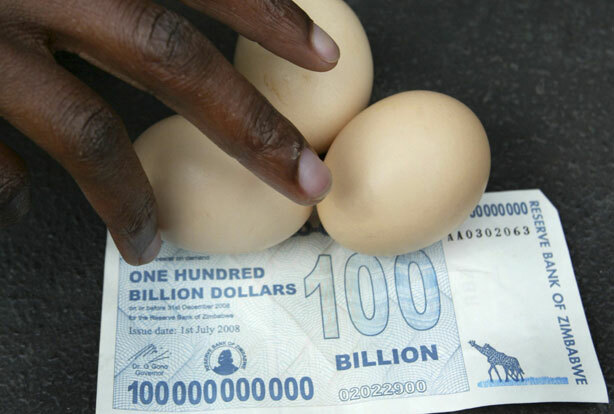 the 100 billion Zimbabwe dollar note could purchase about three eggs when it was introduced. Shortly afterwards, the government dropped 10 zeros from its currency, since keeping track of the decimal points had become impossible for banks and ordinary citizens. Removing the zeros ($100 billion became $10) did not slow down the hyper inflation. 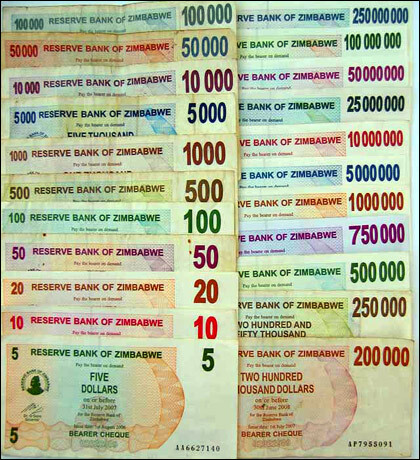 The policy that DID stop the hyper inflation was de facto abolition of the Zim Dollar. Transactions in Zimbabwe are now carried out with South African Rands or other regional currencies. US dollars are particularly welcome. There is also an extensive bartering system that people have used for survival. Why has China bought Mugabe a mansion? It may not be surprising that, as befits any mad dictator, President Mugabe is now the proud owner of a palatial £4.5 million mansion in Harare and a similarly lavish country hideaway, each fitted with the latest electronic security systems, including anti-aircraft missiles. But why should all this have been provided for him by the People's Republic of China? The explanation lies in a deal struck in 2005 whereby Mr Mugabe handed over to China his country's mineral rights, including the world's second largest reserves of platinum, worth £250 billion. In return for allowing the Chinese to cart away more than half a billion pounds' worth of minerals a year, Mr Mugabe not only makes a vast personal fortune for himself and his henchmen, but is given all the arms he needs to keep his criminal regime in power, including guns, jet fighters and military vehicles. campaign against his chief enabler, South African President Thabo Mbeki. vital platinum mines, in which South African firms own a large interest. and death stare Zimbabweans in the face. would mean a ZANU PF exit. the shift in position by the majority of SADC governments. people but nevertheless maintained control of the levers of power. is not so clear why regional presidents supported it. supporting ZANU PF being beaten, tortured, and killed. force too has been targeted. It is not to intervene in "political"
provide a "solution" to the Zimbabwean problem. determination not to be removed from office by any electoral process. must stop and that a Mugabe government after June 27 will not be legitimate. achieve it - the same task they faced in April. government. But beyond that we have nothing. state what should occur between now and the undecided date of such election. government is illegitimate after Friday, will he still be called "President"
our fate to others to decide - others who have failed to act up to now. Mary Ndlovu is a Zimbabwean human rights activist. assets are being pimped around? are pretty smart and can also be pretty damn dangerous. concessions suffering zero-payment confiscation from Anglo Platinum. England, and Andrew Groves, the rough speaking son of a Harare policeman. mining assets, deploying interesting business tactics, to boot. authorities and was last year declared a persona non grata in the DRC. support of Zimbabwe's military during another period of mayhem in the DRC. 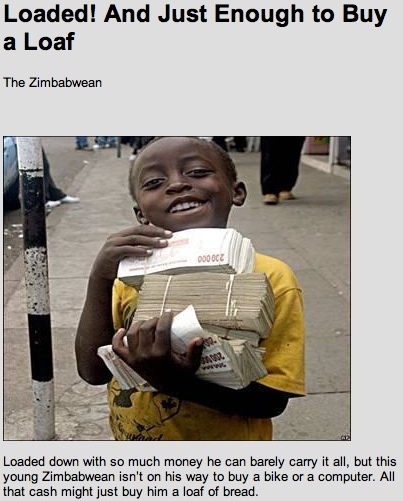 the DRC between 1998 and 2003.
the state treasuries of either the DRC or Zimbabwe. shell company, as well as stockpiling cobalt in South Africa. 50% stake in Mukondo Mountain, a substantial cobalt-copper deposit. practices, Gertler immediately ordered a halt to activities on Mukondo. Mukondo into Camec, becoming its biggest shareholder. also endowed with a seam of rich coking coal. in the forms of breeze, peas, nuts, metallurgical coke, and foundry coke. of US dollars; say no more. victim's family £6m in a civil case. Born in 1945, Van Hoogstraten bought an estate in Zimbabwe when he was 19.
just kill me. I think I am more use to the government in Zimbabwe alive". 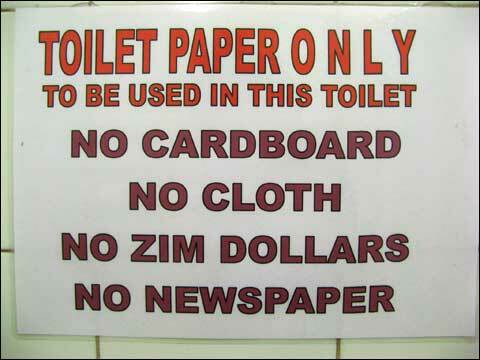 empirical evidence shows that Mugabe wants that, whether he likes it or not.